We consider ourselves pretty lucky to do what we do. But we know luck isn't the best strategy when you’re trying to get the job of your dreams. So, we decided to take the guesswork out of job hunting. By combining relevant courses with valuable feedback, we show you how to bridge the skills gap between you and where you want to be. Whether you’re just starting out or want to get further ahead in your career, Joy Business Academy can give you the skills and opportunities to make it happen. We work collaboratively with learners, employers and businesses to ensure companies are getting workers who have the skills they need to get the job done. We developed our online courses specifically to the skills we know employers are looking for, so you go into work with transferable skills that won't date. Once you sign up you can instantly connect with thousands of other users who are just like you; ready to go out and change the world, the JBA way. Check out our own stories below. James started his first business when he was 9 – tying fishing flies for the local market. Ever since then he has had a passion for creating businesses, everything from the online travel industry, and the ski industry, to animal health & pathology, and now ice cream and online education. The one constant has been the utilization of technology and its ability to disrupt within an industry. James started Pride & Joy in 2013 with the goal to change people’s lives through the teaching of life and business skills by giving individuals the opportunity to own and run their own ice cream business. Through this experience it showed the massive skills gap that was evident when starting a business as well as the skills employers were looking for from University graduates. What did James do about it? Started JBA. Mandy has been involved with the JBA journey since its inception, and is passionate about her role in UX (User Experience). After following a diverse career pathway, Mandy’s remained absolutely steadfast in her passion and dedication for lifelong study and learning. In fact, she has lost count of how many courses she has completed online –some to indulge her love of learning, most to up-skill herself in her industry. She knows the online learning space really well, and completely understands the user experience, fully respecting the resources people need to invest in JBA – time, money and emotional energy. You might think working in commercial finance sounds a bit, well, dull - but Brendan guarantees there’s nothing dull about his work with the Joy Business Academy! The team here is always full of energy and Brendan's the one that helps keep them buzzing. It’s his job to manage the commercial finances, processes and systems behind the scenes. Brendan makes sure everything’s running like clockwork so JBA can do what it does best – inspiring some of New Zealand’s most remarkable people. Grant still loves playing video games and binge watching the latest T.V. series and Japanese animes. As a kid, he would spend hours copying characters from magazines and doodling on his sketch pad. That was the drive and motivation which launched him on his quest into the creative world. The path was not always smooth and there were many obstacles to overcome. One of the biggest challenges was figuring out how he could make a living from the things he loves doing – doodling. Luckily for him, he is still doodling and supporting a young family doing what he loves. Ash has done everything from being a sales person, to a sales trainer and facilitator, Instructional Designer and Creative Media guy. This has given him a varied set of skills that has allowed Ash to be pretty creative in what he does. He has created learning that has been delivered face to face, been developed into eLearning and through video. Ash loves having a good laugh while getting the work done that needs to be done. His humour could be described as dry, but he thinks he is hilarious. He really does. Conor is a web developer who loves making beautiful sites that are fun to navigate. After completing a degree in 3D animation he decided that it wasn’t the direction that he wanted to go in, but along the way he picked up an interest in coding. And the rest is history. When he’s not coding up a storm, Conor is fighting imaginary dragons with a set of dice, and watching the latest TV shows and anime. Passionate about education technology, Jonathan spends his time developing web applications that would encourage users to learn in a new and creative way. He strives to challenge himself and continuously learn new skills that will help him create innovative and interactive websites. He is loving being part of JBA and continues to develop the online learning space here. Krissy is no stranger to front-end development, having spent 7 years in the online marketing industry, where she has worked on everything from social media and graphic design to SEO and web development. Drawing on her design communication degree, she brings a fresh approach to front-end development, having worked on both the design and development of over 100 websites. Krissy now focuses mainly on the building and coding of new exciting courses for JBA. Krissy is passionate about helping people and animals, she regularly volunteers her time and skills for local charities. Curious Martin has been exploring different work environments till he settled down here at JBA. He was in the army, became a golf coach, then a chocolatier, then a chef and now he is a web developer! He loves creating really attractive and highly functional products. There’s something wrong if a day passes without Martin coming up with a new idea to do something better or differently … which means he loves developing dreams into outputs that are exciting, elegant and useful. He loves it here at Joyful Beautiful Amazingful JBA. Haiping is very passionate about Web Developing. He has been working as a developer for many years and pays attention to every detail, using his best effort to make sure that all his work is done to the finest quality that it possibly can be. Though he loves Web Developing a lot, he is also great at many other things in life. Haiping likes to go to the gym and also enjoys hiking and bush walking. A Web Developer since the 90s, Andy is passionate about coding beautifully and feels great achievement in mastering the entire web process. Before joining JBA, Andy used to play key roles in a number of large IT companies in China, such as Sohu.com. Auckland is now where he calls home, he and his beautiful wife love the kiwi lifestyle, and if you were to ask him what he thinks about New Zealand, he would say it's awesome. With five years industry experience as game developer Ben is throughly enthusiastic about the gaming industry. Three independently released titles and a strong proficiency in both 3d and 2d development. Ben’s has placed focus on creating procedural UI systems, reactive AI and immersive gameplay experiences for the end user. From a young age Fraser had an instant passion for film, design and video games. He has always had a creative mind and been fascinated with the artistic realm and its means of story-telling. With four years of study Fraser is relatively fresh to the industry and working hard on designing and developing memorable 2D and 3D experiences. Carrie graduated from Harbin University of Science and Technology with a Bachelor of industrial automation after years of working in ICT. She also has experience in sales in computer hardware. Carrie is very patient with thing that need to be repeated, and has strong attention to details when she is engaged in testing. She focus on teamwork and communication within a team environment. In her spare time she loves to cook and goes hiking with her family. Jason has been figuring things out from a young age, and he loves learning. That, with a passion for sport and coaching, he has expanded to make a career in the learning and development space which is an excellent fit to create awesome learning as an instructional designer at JBA. In true JBA style, Jason doesn't slow down once he finishes a days work at JBA, a young family and small side business ensures he is always on his toes and helps provide some learning experiences of his own. 10 years game developer from Philippines. Released multiple hit titles, earning million downloads from app store. Currently studying how game industry works in New Zealand. Alex was born to be a game developer. Ever since his childhood of playing games to building games now. He has a passion for designing, and creating immersive games, both 2D and 3D. A main focus for Alex has been AI, and how to create a AI to bring a next level of immersion. He enjoys thinking outside of the box, and creating interesting game mechanics which make for exciting gameplay. Weber is a passtionate game developer with 8 years experience. As being enthusiastic about multiplayer games, he is highly specialised in the integration between frontend and backend. With experience of working for four online games, he is focusing on creating authoritative game server with AI, physics and procedural storytelling. Kimleng has always been passionate about art and creativity, how it can captivate you, tell stories, teach lessons, and make you feel all kinds of emotions. After working on games for over 4 years with multiple released titles, Kimleng is excited to pour his pride and joy with art into Joy Business Academy. Hassan is an avid fan of Manchester United F.C and an entrepreneur at heart, in that order. An alumni of University of Toronto, with a Bachelors in Financial Economics (Hons), he has always dreamed big and relished the opportunities that were deemed impossible. Flexible and adaptable to a host of environments, a global citizen, Hassan has worked across various industries and countries. Starting from handling the real estate portfolio of STTS Ltd, Toronto, Canada and managing various commercial and residential properties, he landed in Riyadh, Saudi Arabia as the Project/Purchasing Manager of Jawdat Contracting, one of the largest defence contractors in Saudi Arabia. Constantly seeking new challenges and always keeping an eye out for future development opportunities Hassan co-founded Falcon World Lines Pvt. Ltd, based in Karachi, Pakistan, a 3PL Logistics and Supply Chain services provider, ideally positioned for the China Pakistan Economic Corridor (CPEC). With a knack for seeing talent and massive potential in the teams that Hassan has lead throughout the world, it was always his priority to arm his people with the necessary skills to excel further. These skills were never taught at school or university and this is the reason why there is such a huge disconnect between what we think we know and what we ought to know as the hundreds of thousands of individuals pile out of universities. 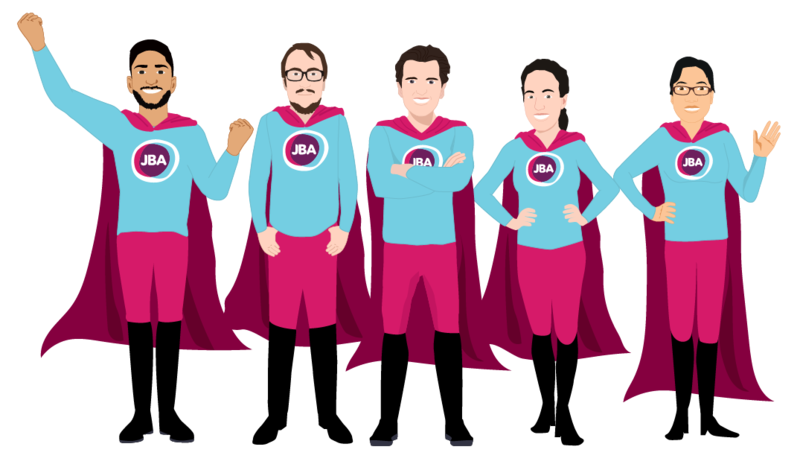 Therefore, it was the perfect fit to become part of the JBA Team, which seeks to eliminate this significant problem, on a global scale, and more so, to change the world a little by helping millions of people, in a positive way. Hasan started his professional journey at a very young age by participating in different entrepreneurial projects; locally and on global platforms in very diverse domains of logistics, business consultancy, training and project management. Most recently Hasan has embarked on leading Joy Business Academy in Pakistan as its COO, while embracing zeal and vision of the company which he strongly believes in transforming the local education industry by leveraging technology and strong foot prints of Joy Business Academy. Being an entrepreneurial person with a sales driven mind-set, he is all set to push limits and set new heights of progression for JBA. After work, Hasan loves spending time with family, raising a toddler with his wife and parents and he is also fond of travelling across the country with his backpack on. Hamid is a keen learner and loves going against the wind, challenging the status quo for individual and collective growth. He is a person who never gives up and is always ready to roll up his sleeves to get the job done, never leaving his wingman alone. A decade ago with a can-do attitude, he started his career as a consumer banker. He then went on to explore telecom, advertising and the home & lifestyle industries in Pakistan, where he served in various functions related to sales, customer services, operations and marketing. He has now joined JBA to offer solutions to the personal and organizational level challenges, related to training & development and recruitment. Naba has completed her Bachelor’s Degree in Business Administration. She has a keen sense of passion in marketing and business development and enjoys the challenges associated with sales meetings. Always inquisitive, with a bubbly personality she started her career in the Home and Lifestyle Industry as a Customer Relationship Executive. Soon finding her true calling, she approached JBA for a more creative and exciting career in the Education Industry and has since excelled as our Business Development Manager in Karachi. Rumesa started her professional career working in the hotel industry in the United Arab Emirates, performing different duties based on operations and new projects and has consistently excelled in these tasks. She has recently joined JBA Pakistan as a business coordinator and always believes in new ideas to drive and implement at work, as well as get 100% satisfied results for the management of the organization. Rumesa is a friendly and hardworking team member.